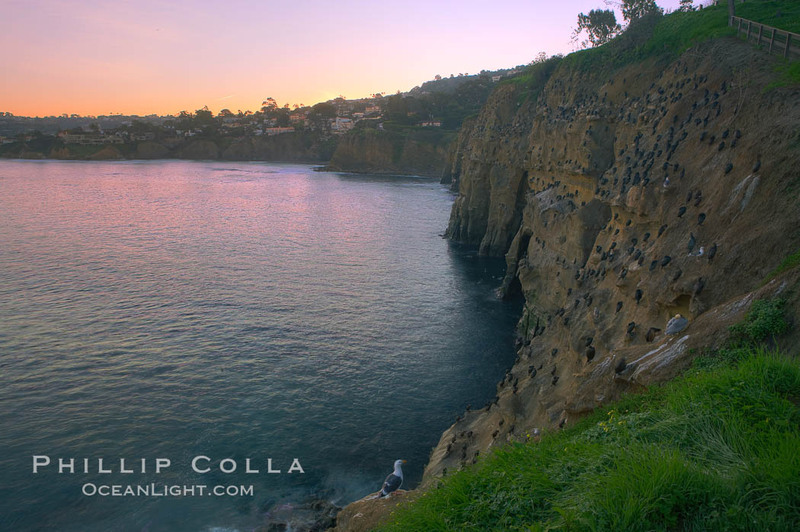 The La Jolla Cliffs early in the morning, under a pink sunrise. Marine Room restaurant is on the far left, and the famous caves are seen at the base of the cliffs. 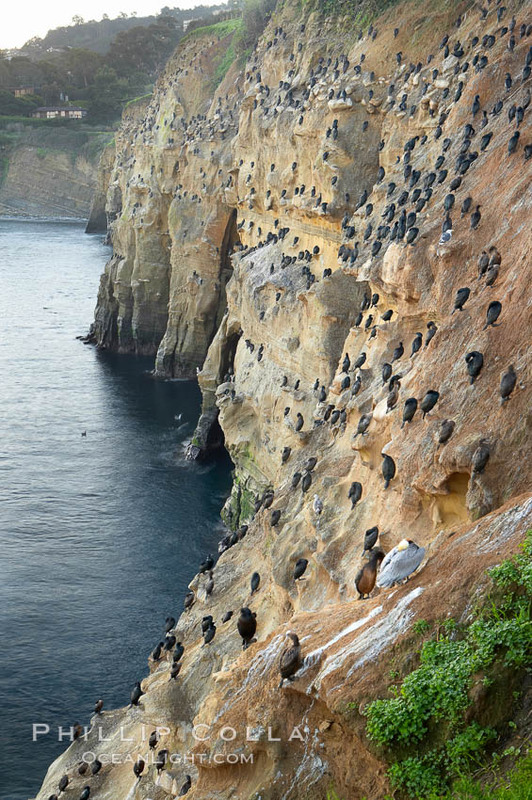 Check out the thousands of cormorants resting on the cliffs. They will eventually fly out to forage on the ocean, returning later in the morning. La Jolla Cliffs overlook the ocean with thousands of cormorants, pelicans and gulls resting and preening on the sandstone cliffs. Sunrise with pink skies. La Jolla Cliffs overlook the ocean with thousands of cormorants, pelicans and gulls resting and preening on the sandstone cliffs.